Some of the most quoted and well-intentioned maxims in data visualization, like “the numbers speak for themselves” and Edward Tufte’s “if the statistics are boring, then you’ve got the wrong numbers,” are often deeply misunderstood. The first saying was resuscitated recently by Wired’s Chris Anderson in a piece that boasted the virtues of “big data” while proclaiming the “end of theory” and of the scientific method. Sayings like those have a patina of truth because they do have a truthful core. When quoted out of context, though, Tufte’s words imply that with enough effort, intrinsic interest in a set of numbers will arise on its own. That extreme and inappropriate reading is wrong, even if there’s much to admire in the clarity of the original sentence. Human beings love to be seduced; entertained while being enlightened. Interest, however, is in the eye of the beholder. In fact, there are at least two kinds of “interest” to consider when communicating. The first is based on predispositions. This is the one you rely upon when addressing specialists. If you are an economist talking to other economists, for example, you can assume they will be curious about similar topics. But the second kind of interest needs to be stimulated. This is the one you should worry about when you want to communicate your message to a general audience, a challenge many organizations face every day. 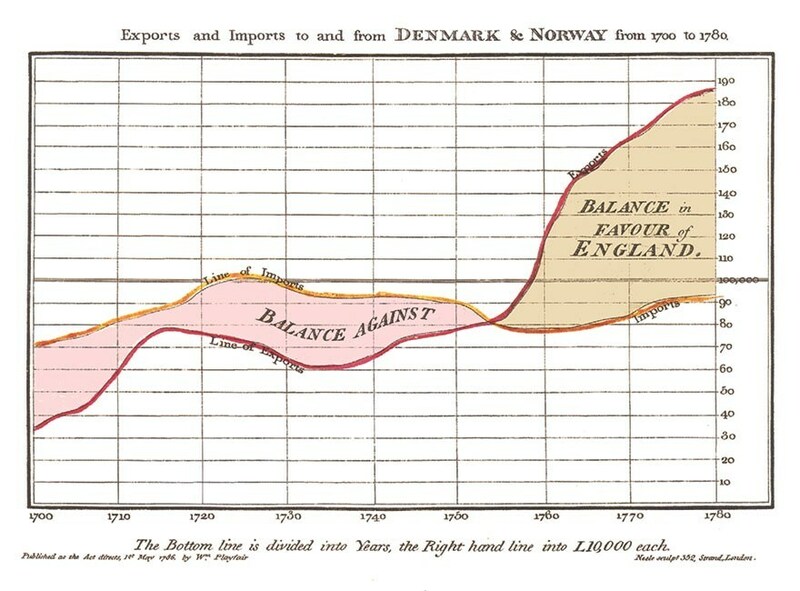 One of the many graphs included in William Playfair’s 1786 The Commercial and Political Atlas and Statistical Breviary. More recently, Hans Rosling – a Swedish doctor, statistician and professor – gave a talk at TED in which he defied preconceived ideas about developing nations, using animated visualizations based on public data sets. He became an instant celebrity not just because of his graphics, but because of the way he integrated himself with them. In an interview, Rosling told me that his main source of inspiration for his presentation style is TV journalism. 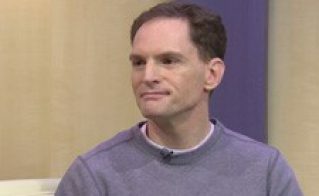 He firmly believes statistics can be exciting, but his approach belies an understanding that statistics are not immediately exciting for everyone. Write headlines. “Unemployment rate in the US between 2000 and 2010” is not a proper headline. It’s a subhead or a label. Instead, consider a joke or pun. Or, take a journalistic approach and point out crucial or unexpected facts. Put numbers in context. Highlight relevant data points, such as outliers in scatter plots and peaks and lows in line graphs. Whenever possible, explain them. Try to answer questions readers may ask about your visualization. Embellish your graphics. I am not an advocate for eye candy and clutter; quite the contrary. My first book is titled The Functional Art for a reason. But beauty matters, and in many cases a subtle touch of seemingly gratuitous fun doesn’t hurt legibility. Let me give you an example of how to apply these suggestions. In 2011, I was the head of infographics at a Brazilian weekly news magazine, Época, whose director was interested in denouncing political malfeasance. One day in September, a senior editor of the magazine told me that Brazilian representatives report their expenses on a monthly basis, and that those figures are available on the Chamber of Deputies’ website. Indeed, the information was there, but it was impossible to extract anything useful from the site, as the tool – really, a glorified search engine – didn’t let me compare and rank representatives or parties. Out of curiosity, we decided to show how much each deputy had spent on telephone calls in the first eight months of the year. My team and I scraped the data, built a database, and designed an interactive visualization. When displayed on a graph, some surprising facts emerged: The amounts reported were in many cases outrageously high. Some deputies had spent more than $5,000 a month, on average. The senior editor who had proposed the project added up the telephone expenses of all 513 deputies in those eight months. The total was $7 million. Then, he divided the resulting figure by the average cost per minute. It turns out that $7 million is enough to speak nonstop until 2311. This revelation inspired the headline of the visualization: 298 Years of Chatter. Needless to say, this interactive visualization was a huge success and ignited a furious response from readers. Would it have been as effective without the playful headline, pictograms and summaries? I honestly doubt it.